Ever since we got the news of Chinese automobile manufacturers are allowed by our government to enter our market to end the monopoly of the local assemblers, people are very excited & anxious to know about the possible low budget Chinese mini cars which may fall under 350,000 price bracket. Although there is no such confirmation about which Chinese auto manufacturers will be offering their products here, but we can have a look at the possible options. These cars if priced properly & sensibly can generate a wave of healthy competition in automobile market of our country. Also note that these cars are better equipped than existing high-end local sedans, however we cannot expect all these features in just 350,000 so a lot of elimination is expected, which will eventually affect the respective prices given below. BYD (Build Your Dreams) is the master copyist amongst the Chinese automakers – also backed by US billionaire Warren Buffet, have an exact replica of Toyota Aygo in their lineup, the BYD F0 super mini, which cost only 36,900 yuan (4.7 lac PKR) is one attractive options that can land on our soil. The 1.0 liter (998cc) Aygo replica is packed with features like Driver & Passenger Airbags, Keyless entry, Central locking, ABS with EBD, Adjustable Steering Wheel & USB/ iPod connectivity etc. While we are expecting stuff from the latest Chinese automobile development, we can still expect obsolete Chinese boxes from their dark age. Beware of Changhe Ideal, priced from 42,800 yuan (5.4 lac PKR) the 1.1 liter Ideal only has Central locking, Keyless entry and an Mp3 player worthy to mention. 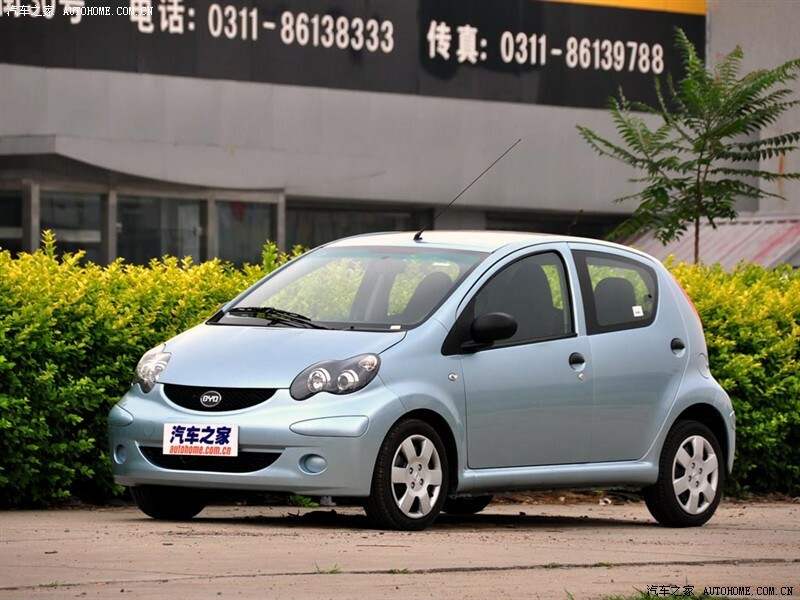 Changan is an automaker which has become popular with their mini cars in recent times. The price of 1.0 liter BenBen-i starts from 36,900 yuan (4.7 lac PKR) and comes with Driver & Passenger airbags, central locking & keyless entry, Adjustable steering wheel, height adjustable seats and USB/ iPod connectivity. BenBen-i is also available in 1.3 liter engine. The BenBen Love only comes with 1.3 liter engine, starts from 38,900 yuan (4.9 lac PKR) and comes with ABS with EBD and Trip computer display as well. Changan having joint venture with Suzuki, were able to get the platform of 7th generation Alto, on which the BenBen Mini is based upon. The 29,900 yuan price tag of BenBen Mini is converted into 3.8 lac PKR only and comes with Airbags, ABS/ EBD, Central locking, Keyless entry, USB/ iPod connectivity & CD Player etc. Greatwall’s Peri is the car which was accused to be a copy of Fiat Panda, Both the cars (Peri & M1) share the same platform and only differ at the front end & interior. The M1 is also available in 4×4 so its something which can go along the likes of Pajero Mini, Terios Kid etc. The 1.3 liter GW Peri starts from 36,900 yuan (4.7 lac PKR) while M1, also 1.3 liter, starts from 43,900 yuan (5.6 lac PKR). Airbags, ABS with EBD, Central locking, Keyless entry, Adjustable steering, height adjustable seats & USB/ iPod connectivity are worth to mention. The unusual looking Lobo is designed by Pininfarina of Italy. In addition to Italian styling, the chassis is also designed by Lotus. But it isn’t very good in performance as you might be thinking after knowing about the companies involved in its development, although its a very good option for those who use it just to get from point A to B, and for those who need a second car to pick kids from school or shopping groceries. The Lobo is priced at 36,900 yuan which is 4.7 lac PKR. Available engines are 1.0, 1.1 & 1.3. Central Locking, Keyless entry & ABS are present though. Prince is a copy of Chery QQ, which was a copy of GM Daewoo Matiz. Its is said that the doors from the Prince & QQ are interchangeable with each other just like those of QQ which are interchangeable with Matiz, so one might expect this car to get somewhat popular here. As parts in the form of Chery QQ & Chevy Joy are already available in the market. With a price tag of 33,800 yuan (4.3 lac PKR) the 1.0 liter Prince offers us Airbags, ABD with EBD, Central locking, keyless entry, USB/ iPod connectivity etc. This is one of the most innovative designs out there, the Panda, although the name is not genuine since already there is Fiat Panda. The car however is quite genuine and the first Chinese car ever to achieve a 5 star crash test score. Geely’s global brand strategy is to discontinue the “Geely” brand from the mainstream and distribute its products among its sub brands, Gleagle, Emgrand and Englon. Panda will be moving under the Gleage umbrella soon. Gleagle is actually the short form of Global Eagle. Panda comes with 1.0 & 1.3 liter engines while it offers Driver, Passenger & Curtain Airbags, Central Locking, Keyless entry, ABS with EBD, Adjustable steering, USB/ iPod connectivity, & CD Player etc. Panda is priced between 37,800 yuan (4.8 lac PKR) to 57,800 yuan (7.3 lac PKR) for the fully loaded 1.3 liter version, however the stripped version cost 32,200 which is 4.0 lac PKR only. YueYue is the latest addition to the array of Chinese minicars, available with 1.0 & 1.3 liter engines, the YueYue comes with Airbags, ABD with EBD, Central locking, keyless entry, Adjustable steering, USB/ iPod connectivity etc. Price starts from 43,800 yuan (5.5 lac PKR) to 56,800 yuan (7.2 lac PKR) for the 1.3 AMT version. Pakistani consumers are exposed to Chery QQ only, the QQ is now called as QQ3 in China, however QQ3 also has two retarded siblings, namely the QQ6 & QQme. The QQ6 is priced from 39,800 yuan to 54,800 yuan (6.9 lac PKR) and has 1.1 & 1.3 liter engines to offer while the QQme cost 55,000 yuan (6.9 lac PKR) with only 1.3 liter engine. Both the cars are equipped with Airbags, ABD with EBD, Central locking, keyless entry, USB/ iPod connectivity etc. Cowin shares the same platform of QQ6 but somehow its better looking then the QQ6. Available with 1.0 & 1.3 liter engine, The Cowin offers Driver & Passenger Airbags, ABD with EBD, Central locking, keyless entry, USB/ iPod connectivity etc. Price starts from 38,800 yuan (4.9 lac PKR). Riich is a sub brand of Chery and the M1 is probably one car that can cause nightmares to the local Alto if launched & priced competitively. With a price tag starting from 38,800 yuan (4.9 lac PKR) M1 offers us Driver & Passenger Airbags, Central Locking, Keyless entry, ABS with EBD, Adjustable steering, USB/ iPod connectivity, & CD Player etc. M1 comes with 1.0 & 1.3 liter engines. Noble is popular due to its striking resemblance with Smart ForTwo, however the car is based on a shortened Suzuki Alto platform. Contrary to any other vehicle of its size, the Noble has a seating capacity of four passengers. The rear seats provide enough room for two adults with plenty of space for their knees, although the low roof-line restricts headroom significantly. The rear seats can fold down to reveal a flat loading space, which otherwise is negligible. A full size spare wheel is housed under the rear seats. Noble is priced from 44,900 yuan (5.7 lac PKR), comes with a 1.1 liter engine & offers Central Locking, Keyless entry, Engine immobilizer, ABS with EBD, USB/ iPod connectivity, & CD Player etc.